St Mary's Nursery Hexham was set up in October 2000 by a board of voluntary directors; initially the brainchild of our late priest Fr Martin Deegan who was "inspirational" in driving the renovation and set up of the Old Catholic Club, which became St Mary's Nursery. 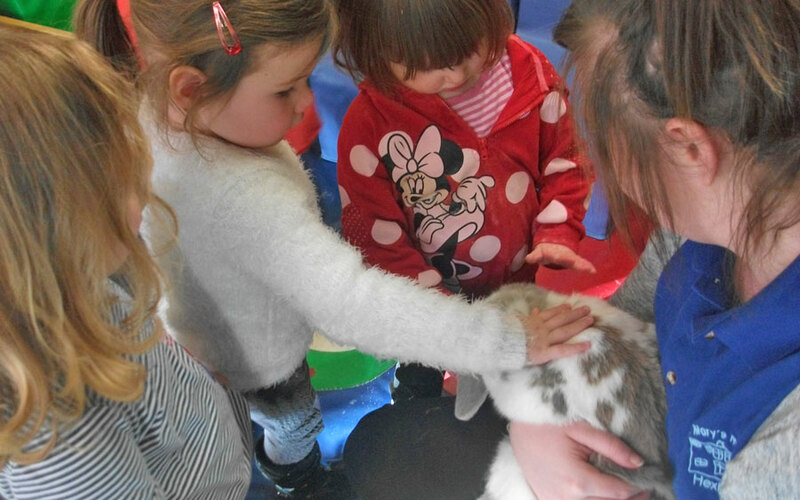 St Mary's Nursery implement the Early Years Foundation Stage (EYFS) for children aged 0-5 years with an emphasis upon learning through play and first hand experiences. 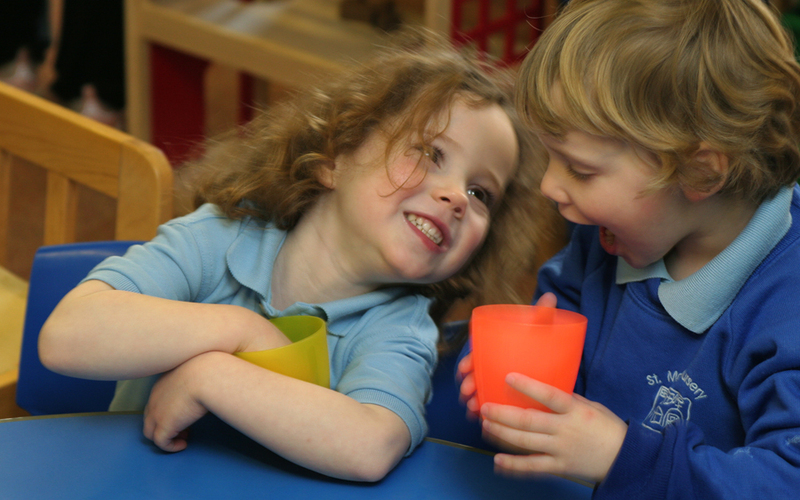 Overseen by an experienced, qualified teacher, supported by qualified L3 or above nursery nurses, to ensure that each individual child receives the highest level of childcare and early year's experiences. 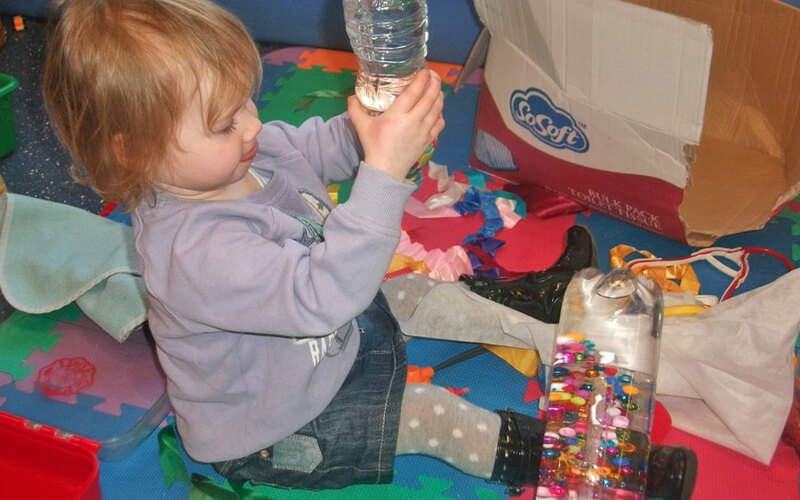 Teaching and Learning in Nursery - What to expect, when? We especially welcome children with additional needs and liaise with a wide range of outside agencies to ensure your child gets the highest level of support and intervention as early as possible to enable them to flourish to the best of their ability. 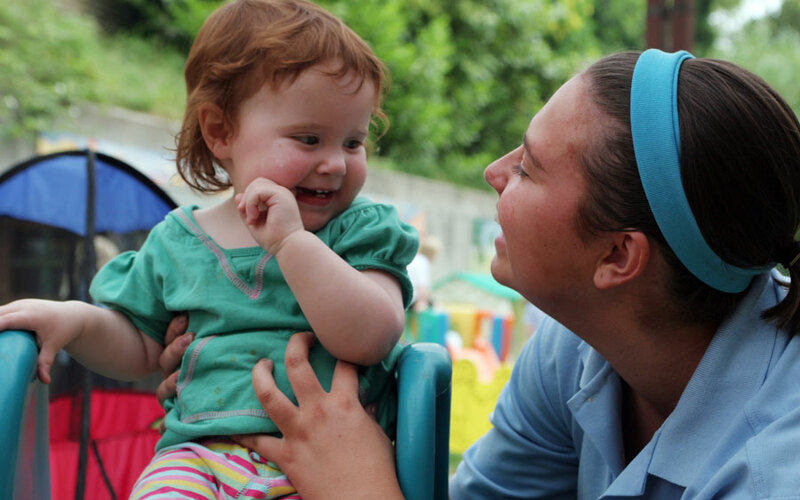 All of our staff have attended specialist training with regard to caring for a child with a disability / medical need. We are more than happy to discuss your child's needs and receive input from their specialist nurse or consultant. 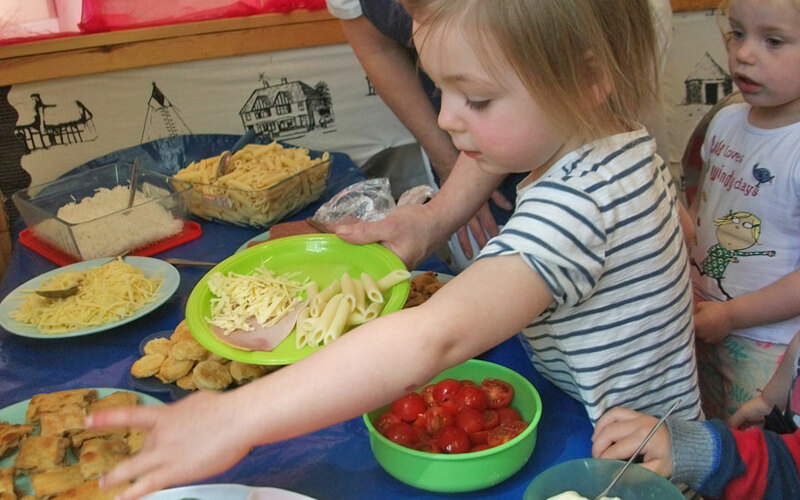 St Mary's Nursery has consistently "Good" Ofsted reports and hold Northumberland County Council's Healthy Pathways Awards 1&2 for promoting healthy choices across our provision. We also hold grade 5 Food Hygiene Scores on the Doors. We employ our own cook who prepares our delicious meals throughout the day our main two course lunch and light teas and snacks. She also makes yummy taster dishes for children (and staff!) to sample throughout the year which, if popular, are incorporated into our termly menus. View Allergen Chart. All our meat is local and fully traceable supplied fresh every week by Tom Stevenson from WMH butchers Haydon Bridge leading to the assurance of quality meals for 10 years plus at St Mary's Nursery Hexham. We take safeguarding extremely seriously and have well considered policies and procedures in place to ensure the safety of all children. We have a camera and door entry system on both floors to ensure no one gets access to the building unless they are known to staff. All visitors / work persons have prior appointments, have their ID checked and sign in the visitor's record. At NO time are visitors left unsupervised in the building. All staff are Qualified Children's First Aiders and hold Safeguarding Designated Person Qualifications. We collect children from St Mary’s RC 1st School who we are onsite with and the Sele County 1st School. Children attending from St Joseph’s RC Middle or Hexham Middle School either walk to our site or come via a taxi. We offer a relaxed fun filled environment where your child can relax with their friends and participate in a wide range of activities. 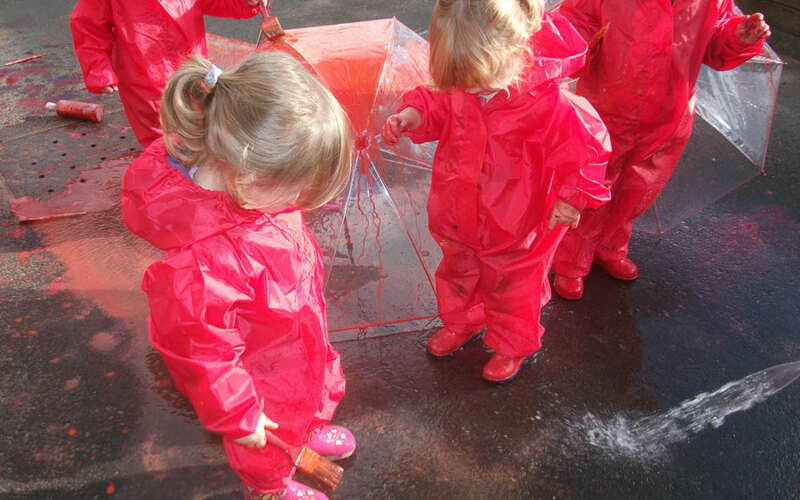 We have full use of the schools play ground and sports field and have a wide choice of age appropriate outside bikes / climbing / role play / quiet garden and lots of other weather games and resources – water slide and water spray. Our nursery is split over two floors, each with its own separate entrance, which makes it easy for wheelchairs or parents with buggy's to access. In our lower room we accommodate up to 24 children which a maximum of 8 under 2's - we have a separate sleep area and have an enclosed area within the main room for children to crawl and move around safely. Our upper room accommodates a further 25 children and doubles up as our Breakfast / After School and Holiday Clubs for school age children. St Mary's Nursery Hexham was awarded a Food Hygiene Rating of 5 (Very Good) by Northumberland County Council on 8th December, 2014. We are open for 51 weeks of the year (Closed Bank Holidays) 8am - 6pm (*Early Bird 7.30am sessions available prior booking and additional charge*). All Nursery Policies are available to parents to view upon request. Parking is available for visits / drop off and collection ONLY in the adjacent Church car park (please park considerately) under NO circumstances are you permitted to drive or park in the school grounds. Fr Martin Deegan's ethos is "to provide a welcoming, family like environment for the local and wider community". This ethos remains at the forefront of everything we do today. St Mary's Nursery is managed by a Non Profit making board of voluntary directors set up in October 2000 by Judith Baxter, Nursery Manager, and Fr Martin Deegan. New directors now include: Jill Robb Nursery - Office Manager, Fr Chris Warren, Parishioners Anne Lavin and Rosemary Theobalds.